A teapot, cut in half. Sort of. Original clipart Kitchen Utensils Silhouette, by GDJ, Public Domain. 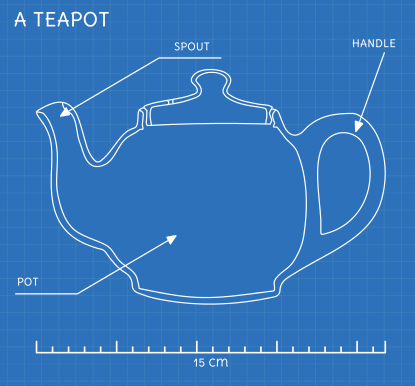 More on Teapots. I’ve had a mysterious broken page on this site for a while - but been too busy to look into it. My Comprehensive Linux Backups with etckeeper & backupninja article has been refusing to load, and returning a weird HTTP 418 Unused status code instead. I finally made the time to figure out the cause. We use CentOS VM’s at work to emulate our production environment - and it took me a while to figure out how to get the VirtualBox Guest Additions to build reliably on CentOS 6.4/5. This is what I’ve currently settled on as a reliable method. -thumbnail Similar to -resize, but optimized for speed and strips metadata. x300 Make the thumbnail 300px tall, and whatever width maintains the aspect ratio. -background white Sets the thumbnail background to white. -alpha remove Removes the alpha channel from the thumbnail output. I’m going to build on Jamie Zawinski’s excellent advice about backups, which you should read first. This is basically that, but with some extra bits. If this seems too complex, then just do what he says.